The Dolomiti Sportclinic has a department for orthopedic diagnostic imaging, which is equipped with digital X-ray, ultrasound diagnostics, a C-arch, a computed tomography (CT) and a magnetic resonance imaging (MRI). Thanks to these devices, diseases and injuries to the musculoskeletal system can be precisely identified, examined and treated early. For examinations of the soft tissues and joints, two modern open magnetic resonances are directly available at our clinic. 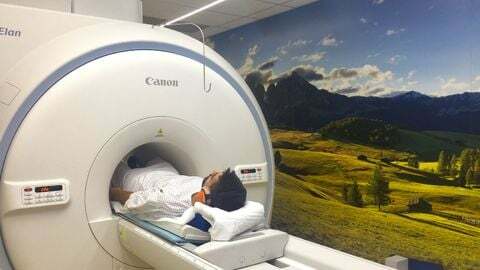 With the aid of strong magnetic fields and radio waves, sectional images of the human body are generated, whereby diseases and injuries of the muscles, tendons, joints, and the spine can be determined. The advantage of this method is the lack of application of X-rays which allows to make examinations without any risks, also on children. Recently we installed a high-field Magnetic Resonance branded CANON with 1,5 Tesla. It is one of the best MRI-technologies on the market. 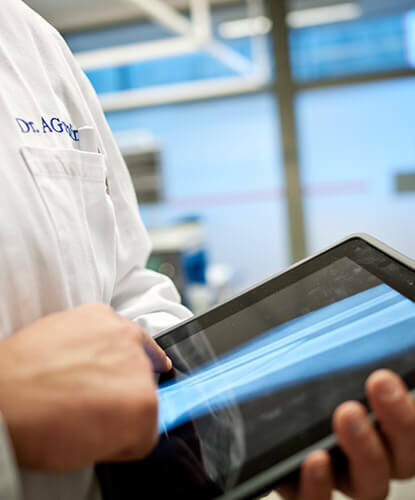 The excellent image processing software allows to create clear reconstructions in order to have the lesion more visible for the patient and to make it easier for the orthopedic doctor to make a correct diagnosis. 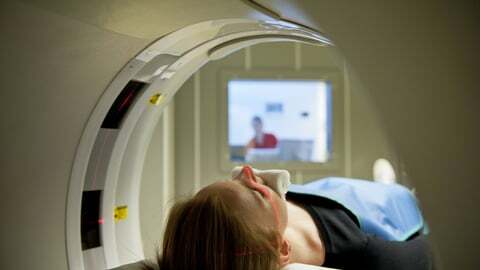 The computed tomography (CT-scan) is a computerized system in radiology that allows us to reproduce three-dimensional images of specific body sections. Thanks to the CT, we are not only able to detect certain diseases, but above all we can better assess the extent of the lesion. The three-dimensional images obtained after the respective reconstruction process have a high diagnostic value that sustains us particularly during the surgical treatment of certain fractures. The mobile X-ray unit is the heart of radiological diagnostics. 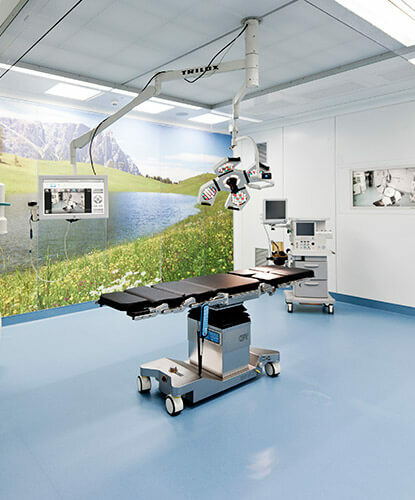 With the countless tricky adjustment possibilities, projections can be performed easily on lying and standing patients and thanks to the perfect match with the development of digital devices, an incomparably superior image quality can be gained. Thereby, the X-ray images are processed within seconds, and are available for the patient after a few clicks as a paper printout or CD. NEW: Our office in Bolzano is equipped with a new, digital teleradiographer which allows a full length examination of the vertebral spine and the lower extremities. In addition to the static diagnostics, dynamic examinations can be executed with an image converter. Different infiltrations such as in the spine and other critical areas can be easily performed under BV-control.